Shopping for Legend of Zelda Mini-Figures? Enter the world of Zelda! Enter the beloved worlds of Nintendo's video games! Based on your favorite classic and modern Nintendo games comes a line of Ultra Detail Figures from Medicom! These non-articulated figures recreate some of the most popular video game characters of the past quarter-century. 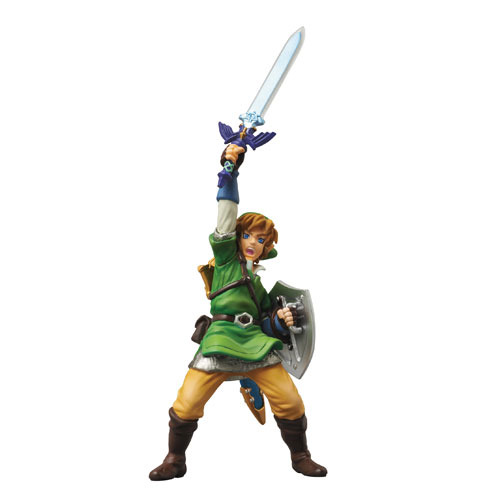 This Legend of Zelda Skyward Sword Link Series 1 UDF Mini-Figure is based on the Nintendo Wii game and stands approximately 4-inches tall. Collect them all! Ages 15 and up.